3530LF-SSMPU is rated 4.0 out of 5 by 7. Rated 1 out of 5 by bcgallagher from Not ADA in commercial installation faucet not ADA in commercial installation, grid drain required in commercial lavatory. if used, lift-rod and drain assembly are tossed and a plastic plug ($7-8) must be purchased separately. 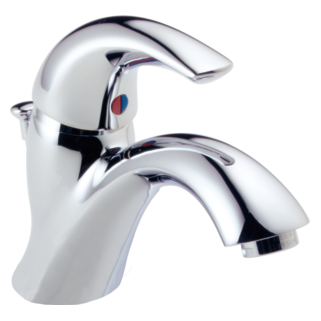 expect better from delta , offer faucet 35030lf. Rated 5 out of 5 by amfoxy from Filled the bill.... This was a replacement faucet for one that was twenty years old. We couldn't be happier with Delta faucets (throughout our home the day we built) and the outstanding warranty and customer service. 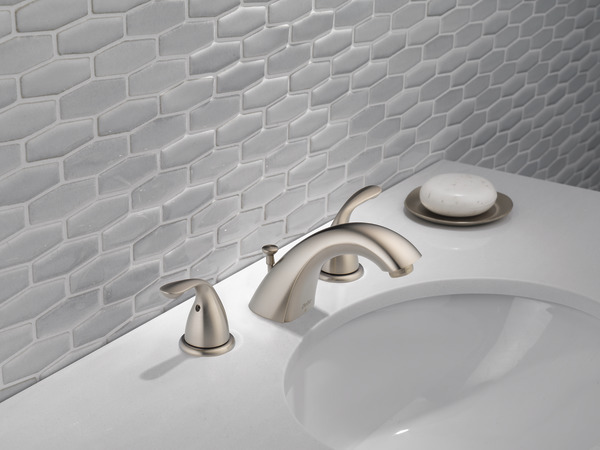 We have no doubt, when a faucet is needed it will always be Delta!!!! The replacement faucet fits right in with the remodel...thanks Delta. Rated 4 out of 5 by Seyed from Great quality It appears to have great quality. 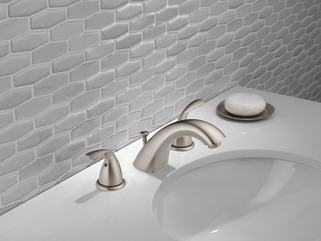 Rated 3 out of 5 by SW from Problem faucet Love the modern design but......the hexagon bolt at end of copper tube inside spount did not match up with its base. My contractor had to bend the copper tube to get it to fit. The mounting for the faucet was not long enough for my slab so my contractor had to call Delta to see if there was a part to entend the mounting screw. Delta had the part and overnighted it to me. Also, the lift rod interfered with the under works of the system and took much manuvering to get it to work properly. After all that, two of the four faucets are in and look great. If I did not have the excellent contractor that I do I am not sure how this would have ended up. 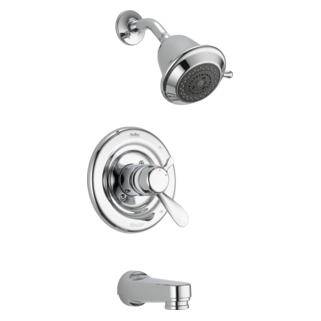 I have the faucets I wanted but would not recommend them because of the number of flaws in workmanship that were encountered. Rated 5 out of 5 by KerrFaucet from Great Services! I have my faucets for 17 years. The faucets still looks good and still works great. I had a leak and Delta sent me the parts I needed. Rated 5 out of 5 by hisaw from Delta faucets This is the second time we ordered these. We loved them for our remodel of the master that we put them in our guest bathroom. Rated 5 out of 5 by Plumbfun from Delta smooth in operation and style Very nice finish, with extremely smooth operation on the handles. Love the arch of the faucet. It appears this is part of the Classic collection. 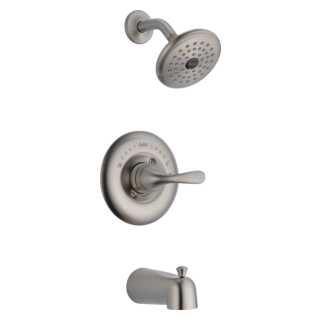 Which models are the matching shower only faucet sets? Can you use a widespread instead of mini widespread? 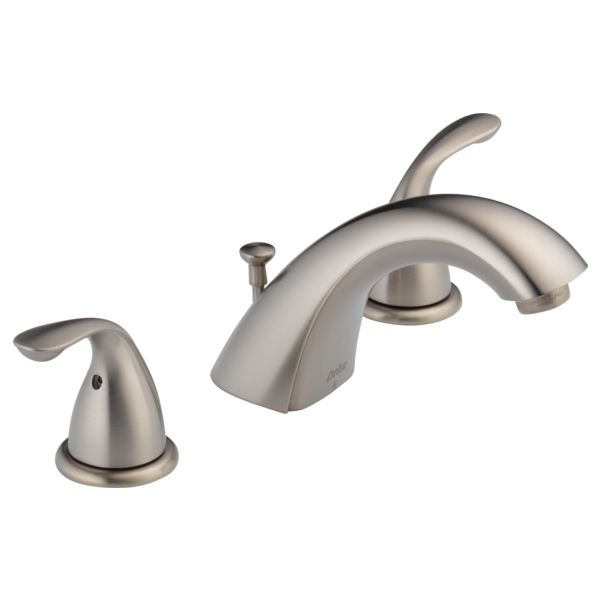 I currently have two Delta Innovations mini widespread faucets. To replace them do I have to purchase faucets that are classified as &quot;mini-widespread&quot; or will &quot;widespread&quot; work? I'm guessing the answer is no due to the width of the handle. Thank you. What is the country of origin for the parts and assembly of this faucet? Does this model have ceramic disc valve?